This is a standalone Meeblip triode panel. Next version may include a patch library. 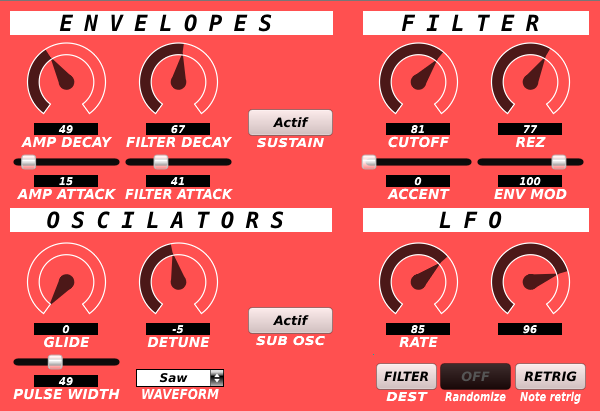 Update 0.28: LFO depth was not visible -> resolved. Synth 1 & 2 colored selector. Actually, it lack some important features if you compare it with the official one like “get patch” and “save patch”. I may add them if Novation release the Sys Ex table.